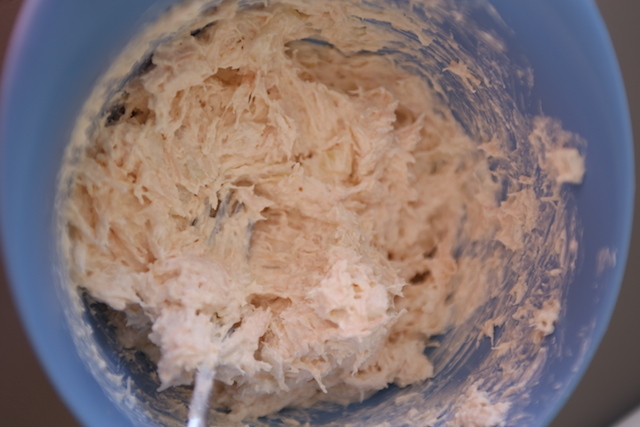 I can eat this Creamy Canned Chicken Spread by the spoon full, it’s so good! Canned chicken pieces are mashed into a creamy mayonnaise and cream cheese mixture tossed along with some onion pieces, creating an absolutely amazing and easy chicken spread. I’ve had moments when I would heap this over my bread (probably had more spread on my bread than the bread slice itself), I enjoy it so much! Regardless I think you get the point; I love this spread! I have made it numerous of times from the moment I was introduced to this spread at a relatives house. It’s crucial that this spread sits in the fridge until chilled for the onions to mellow out a bit in taste and the spread to set. 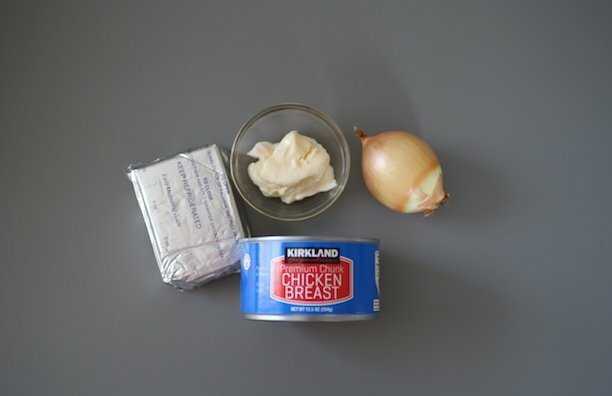 Don’t be intimidated by the amount of cream cheese for 1 can of chicken, once the spread chills it’s hardly detectable in the spread. 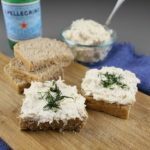 I certainly wouldn’t be able to eat a spread by spoonfuls if it would be too overwhelming:) I hope this may become a quick and easy staple spread at your home, enjoy! 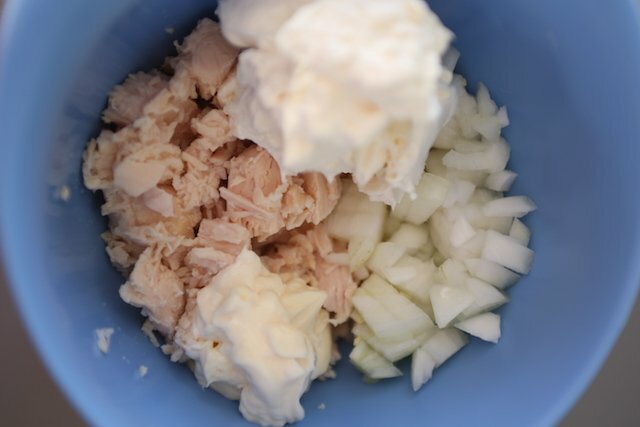 Place all ingredients into a medium sized bowl. 2. Mix throughly with a fork until creamy. 3. Chill spread for at least 2-4 hours before serving. Mix throughly with a fork until creamy. Chill spread for at least 2-4 hours before serving.